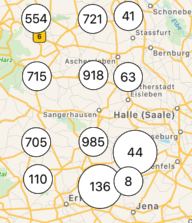 How to change the pin of a map? 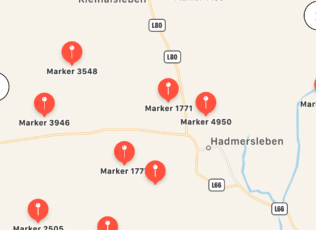 Following this example: https://github.com/mrdnote/XamarinClustererDemo, I'm making an map with annotations. annotationView.Image and I'm giving my image, the image from clusters will be changed, but not the pins... And is very frustrating because I've searched a lot and I'm missing something because I can achieve what I want. First I made a class which implements from MKMapViewDelegate and override GetViewForAnnotation method.